Joane is a PhD Candidate in the Department of Forest and Conservation Sciences at the University of British Columbia. She is interested in the biological and evolutionary processes that shape life and its diversity at the level of populations and species. She pursued the Biodiversity and Evolution Master’s program at the University of Montpellier (France), during which she joined the Coen lab (John Innes Centre, Norwich, UK) to study the genetic architecture of a hybrid zone between two Pyrenean snapdragon subspecies (Antirrhinum majus). 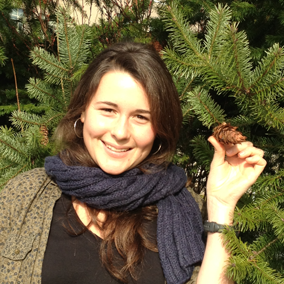 She is now developing a PhD project to study mechanisms that influence adaptation to climate in Sitka spruce populations.